"Carl Johan" redirects here. For a subsequent prince, see Carl Johan Bernadotte. Charles XIV John or Carl John, (Swedish and Norwegian: Karl XIV Johan; 26 January 1763 – 8 March 1844) from 1818 until his death was King of Sweden (as Charles XIV John) and King of Norway (proclaimed as Charles XIV John, but in recent times referred to as Charles III John) and served as de facto regent and head of state from 1810 to 1818. He was also the Sovereign Prince of Pontecorvo, in south-central Italy, from 1806 until 1810. He was born Jean Bernadotte in France and served a long career in the French Army. He subsequently acquired the full name of Jean-Baptiste Jules Bernadotte (French: [ʒɑ̃ bapˈtist ʒyl bɛʁˈnadɔt]). He was appointed as a Marshal of France by Napoleon, though the two had a turbulent relationship. Napoleon made him Prince of Pontecorvo on 5 June 1806, but he stopped using that title in 1810 when his service to France ended and he was elected the heir-presumptive to the childless King Charles XIII of Sweden. His candidacy was advocated by Baron Carl Otto Mörner, a Swedish courtier and obscure member of the Riksdag of the Estates. Upon his Swedish adoption, he assumed the name Carl. Since he was a royal prince there, he did not use the surname of Bernadotte in Sweden, but founded the Swedish dynasty by that name. At the age of 14, he was apprenticed to a local attorney. However, the death of his father when Bernadotte was just 17 stopped the youth from following his father's career. Following the outbreak of the French Revolution, his eminent military qualities brought him speedy promotion. By 1794 he was promoted to brigadier, attached to the Army of Sambre-et-Meuse. After Jourdan's victory at Fleurus (26 June 1794), he then became a divisional general. At the Battle of Theiningen (1796), Bernadotte contributed, more than anyone else, to the successful retreat of the French army over the Rhine after its defeat by the Archduke Charles of Austria. He had his first interview with Napoleon in Mantua and was appointed the commander of the 4th division. During the invasion of Friuli and Istria, Bernadotte distinguished himself greatly at the passage of the Tagliamento where he led the vanguard, and at the capture of the fortress of Gradisca (19 March 1797). After the 18th Fructidor, Napoleon ordered his generals to collect from their respective divisions' addresses in favor of the coup d'état of that day; but Bernadotte sent an address to the directory different from that which Napoleon wished for and without conveying it through Napoleon's hands. In 1802, Napoleon Bonaparte proposed that Bernadotte head to New France to serve as governor of Louisiana, which was to be transferred back to French control following the Third Treaty of San Ildefonso. In accepting the position, Bernadotte requested additional soldiers, settlers, and funding to support the colony, but Napoleon refused. In response, Benadotte, declined the posting and instead was named plenipotentiary ambassador to the United States. His posting was cancelled, however, after the Sale of Louisiana. However, during the campaign against Prussia, in the same year, he was severely reproached by Napoleon for not participating with his army corps in the battles of Jena and Auerstädt (14 October 1806). Napoleon, on the night of 13 October, thinking he had faced the whole Prussian army at Jena, sent orders to Bernadotte and Davout to fall back from Naumburg and get across the Prussian line of retreat. In pursuance of these orders, Bernadotte, separately from Davout, left Naumburg at dawn on the morning of the 14th for Dornburg and marched towards Apolda, which he reached by 16:00. Hampered by the very poor state of the roads, he could not engage in the Battle of Jena, though he effectively compelled the Prussians to retreat from both battlefields by posting his troops on the heights of Apolda. Afterwards, Bernadotte was accused of deliberately refusing to support Davout, who had unexpectedly encountered the Prussian main army at Auerstädt, out of jealousy, and Napoleon, if reminiscences from St. Helena may be believed, once intended to put Bernadotte before a court-martial. In fact, he did what he had been ordered to do, and more fundamental responsibility for his absence rests upon the ambiguous and indirect orders issued by Berthier and Napoleon’s unawareness of the Prussian position. After the Battle of Jena, Bernadotte crushed the Prussian Reserve Army, all fresh troops fortified behind a marsh and the River Saale, under Duke Eugen of Württemberg at Halle (17 October 1806), though Imperial Headquarters did not much appreciate this victory. When visiting Halle after the battle, and commenting on the degree of difficulty of storming a fortified position accessible only by a single bridge, Napoleon enigmatically commented "Bernadotte stops at nothing. Someday the Gascon will get caught." Subsequently, Bernadotte pursued, conjointly with Soult and Murat, the Prussian general Blücher to Lübeck, and aided in forcing his capitulation at Radkow (7 November 1806). When the French forced their way to Lübeck, the city became the target of large-scale looting and rampage by the French soldiers. Bernadotte, struggling desperately to prevent his men from sacking, was given six horses from the Council of Lübeck as their appreciation. He also treated captured Swedish soldiers with courtesy and allowed them to return to their home country. The impressed Swedes went home with a tale of Bernadotte’s fairness in maintaining order within the city. Thereafter he marched to Poland and defeated the Russians at Mohrungen (25 January 1807). Due to the capture of a courier carrying the Emperor's latest orders, Bernadotte was not informed of a change of strategy to move East toward the rest of the French Army. As a consequence, Bernadotte's I Corps was too far away to take part in the Battle of Eylau (7 to 8 February 1807). Napoleon rebuked him for his absence but it became acknowledged that it was not due to Bernadotte, but Berthier’s carelessness in dispatching the orderly. After the Peace of Tilsit, in 1808, as well-liked governor of the Hanseatic towns, where he once again proved his administrative and diplomatic abilities,  he was to direct the expedition against Sweden, via the Danish islands, but the plan came to naught because of the want of transports and the defection of the Spanish contingent. Pursuant to the projected invasion of Sweden, and by virtue of Denmark becoming an ally of France in 1808, Bernadotte found himself de facto head of a French occupation of Denmark. However, Bernadotte maintained strict discipline amongst his troops and his good treatment of the Danes made him popular with the populace and Danish Royal Family. Upon his departure from Denmark he was one of few Frenchmen of the period to be awarded the Order of the Elephant. During Bernadotte's time as governor of the Hanseatic cities, the Abdications of Bayonne occurred, an event that triggered the Peninsular War that would play so large a role in Napoleon's defeat. For a time Napoleon considered the notion of placing Bernadotte on the Spanish throne; going so far as to hint at it in a letter to him. 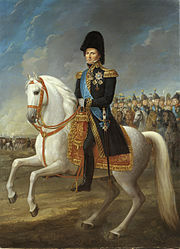 However, Bernadotte made it known to Napoleon that he didn't want the Spanish Crown. Joseph Bonaparte, Bernadotte's friend and brother-in-law, was chosen instead. It was not the first, or last time, that Napoleon thought of placing Bernadotte on a foreign throne. Indeed, Napoleon on several occasions, both during his days as First Consul, and then as Emperor, thought of naming Bernadotte or Murat as his successor. Ironically, Bernadotte did eventually wear a crown, not through the auspices of Napoleon, but as an enemy of France. Being recalled to Germany to assist in the new war between France and Austria, he received the command of the 9th Corps, which was mainly composed of Saxons. Further difficulties with Berthier, and inclusion in his corps of the ill-prepared Saxons combined with his illness to make him beg for release from service. Bernadotte wrote to Napoleon that "I see my efforts perpetually paralyzed by a hidden force over which I can not prevail." Napoleon disregarded these appeals and Bernadotte proceeded with the campaign, commanding mostly foreign troops with few French. At the Battle of Wagram (6 July 1809), he commanded this corps, of which the division of Dupas formed part. Having resisted on the left wing for a long time an attack from a superior force, he ordered Dupas forward to his support; the latter replied that he had orders from the emperor to remain where he was. After the battle, Bernadotte complained to Napoleon for having, in violation of all military rules, ordered Dupas to act independently of his command, and for having thereby caused great loss of life to the Saxons, and tendered his resignation. Napoleon accepted after he had become aware of an order of the day issued by Bernadotte in which he gave the Saxons credit for their courage in terms inconsistent with the emperor's official bulletin. However, Bernadotte's praise for the Saxons, as well as his mild and courteous treatment of them while under his command, was never forgotten by the Saxon officers and this would later have disastrous consequences for the French when a whole Saxon division defected to Bernadotte's Army of the North during a key moment of the Battle of Leipzig. With Bernadotte having returned to Paris, the Walcheren expedition (July 1809) caused the French ministry in the absence of the emperor to entrust him with the defense of Antwerp with both regular French and Dutch troops along with the National Guard. Bernadotte, with his customary skill, took command of a chaotic situation wherein troops from all over the Empire and its vassal states, and raw conscripts, were sent to Holland under divided command. He re-organized and trained his forces, named by the Emperor as the Army of Antwerp, by instilling discipline in old soldiers too long at the depots and teaching raw conscripts their trade. Everywhere he instilled a fighting spirit, making an army out of a mob, and thusly he rapidly brought the defenses of Antwerp to a high order of readiness. With Antwerp bristling with cannon and numerous defenders, and with the Army of Antwerp whipped into fighting shape, the British, vexed by poor leadership and with half the army immobilized with fever thanks to the insalubrious islands upon which they were quartered, realized that it was no longer possible to close the Scheldt, or take Antwerp, and withdraw their forces. In a proclamation issued to his troops at Antwerp he made an implied charge against Napoleon of having neglected to prepare the proper means of defense for the Belgian coast. A displeased Napoleon relieved Bernadotte of command of his ad-hoc army, and ordered his return to Paris to leave for Catalonia and take command of the Army there. Refusing to comply with the order, he was summoned to Vienna, and after an interview with Napoleon at Schönbrunn accepted the general government of the Roman states. In 1810 Bernadotte was about to enter his new post as governor of Rome when he was unexpectedly elected the heir-presumptive to King Charles XIII of Sweden. The problem of Charles' successor had been acute almost from the time he had ascended the throne a year earlier, as it was apparent that the Swedish branch of the House of Holstein-Gottorp would die with him. He was 61 years old and in poor health. He was also childless; Queen Charlotte had given birth to two children who had died in infancy, and there was no prospect of her bearing another child. The king had adopted a Danish prince, Charles August, as his son soon after his coronation, but he had died just a few months after his arrival. Despite the fact that Napoleon favored his ally Danish King Frederick VI, Danish Prince Frederick Christian initially had the most support to become Swedish Crown Prince as well. Before freeing Bernadotte from his allegiance to France, Napoleon asked him to agree never to take up arms against France. Bernadotte refused to make any such agreement, upon the ground that his obligations to Sweden would not allow it; Napoleon exclaimed "Go, and let our destinies be accomplished" and signed the act of emancipation unconditionally. Many were also optimistic that Sweden would capture Finland under Charles John. The Swedish Crown Prince even unsuccessfully sought Napoleon's support to assist Sweden in conquering Norway. On 2 November 1810 Bernadotte made his solemn entry into Stockholm, and on 5 November he received the homage of the Riksdag of the Estates, and he was adopted by King Charles XIII under the name of "Charles John" (Karl Johan). At the same time, he converted from Roman Catholicism to the Lutheranism of the Swedish court; Swedish law required the monarch to be Lutheran. The new Crown Prince was very soon the most popular and most powerful man in Sweden and quickly impressed his adoptive father. Following his first meeting with his new heir, Charles XIII (who had initially opposed Bernadotte's candidacy) remarked to his aide-de-camp count Charles de Suremain "My dear Suremain, I have gambled heavily, and I believe that after all I have won." He also made himself well liked by Queen Charlotte, who regarded him a "gentleman in every sense of the word", and established a net of contact within the Swedish aristocracy, befriending in particular the Brahe family through his favorite Magnus Brahe and countess Aurora Wilhelmina Brahe, whose cousin Mariana Koskull became his lover. In January 1812, French troops suddenly invaded Swedish Pomerania and the island of Rügen. The decisive reason was that Napoleon, before marching to Moscow, had to secure his rear and dared not trust a Swedish continental foothold behind him. To render it the more insulting, Napoleon scheduled it for the Crown Prince’s birthday. The initially amicable relationship which Charles John had with Napoleon soon changed because of this invasion. The invasion was a clear violation of international law as well as an act of war so public opinion in Sweden was understandably outraged. Moreover, it antagonized the pro-French faction at the Swedish court. Thereafter, the Crown Prince declared the neutrality of Sweden and opened negotiations with Great Britain and Russia. Charles John, as the Commander-in-Chief of the Northern Army, successfully defended the approaches to Berlin and was victorious in battle against Oudinot in August and against Ney in September at the Battles of Großbeeren and Dennewitz. Bernadotte's Army of the North would continue to guard Berlin and keep watch on Davout's forces in Hamburg while the Allies, in accordance with the plan conceived at Trachenberg, maneuvered toward Napoleon's army at Leipzig. With the other Allied armies engaged in battle on October 17, Bernadotte's army finally crossed the Elbe and joined in the Battle of Leipzig on October 19. His fresh troops, reinforced by 30,000 Prussians, joined the fray against the already battered French lines where Swedish forces entered battle in numbers for the first time in the campaign. At a critical moment an entire Saxon division went over to his army in response to a proclamation released a week prior where in Bernadotte invited the Saxons to join their old commander in defeating Napoleon. The Army of the North committed the coup de grâce on the already depleted French and Bernadotte was the first of the Allied sovereigns to enter Leipzig. After the Battle of Leipzig he went his own way, determined at all hazards to cripple Denmark and to secure Norway, defeating the Danes in a relatively quick campaign. His efforts culminated in the favourable Treaty of Kiel, which transferred Norway to Swedish control. The foreign policy applied by Charles John in the post-Napoleonic era was characterized by the maintenance of balance between the Great Powers and non-involvement into conflicts that took place outside of the Scandinavian peninsula. It made a sharp contrast with Sweden’s previous hegemonic expansionism resulted in uninterrupted wars with neighboring countries for centuries, and he successfully kept his kingdoms in a state of peace from 1814 until his death. He was especially concerned about the conflict between Great Britain and Russia. In 1834, when the relationship between the two countries strained regarding the Near East Crisis, he sent memoranda to British and Russian governments and proclaimed neutrality in advance. It is pointed out as the origin of Swedish neutrality. The Caserne Bernadotte [fr], a French military building located in Pau, was also named after him in 1875. Coat of arms of Crown Prince Charles John according to the armorial of Knights of the order of the Seraphim. ^ Cronholm 1902, pp. 249–71. ^ a b c d e f g h Bain 1911, p. 931. ^ a b c d e f g h i j k l m n o p q r The American Cyclopædia 1879, p. 571. ^ Olivier, Jean-Marc (2010). "Bernadotte, Bonaparte, and Louisiana: the last dream of a French Empire in North America" (PDF). In Belaubre, Christope; Dym, Jordana; Savage, John. Napoleon's Atlantic: The Impact of Napoleonic Empire in the Atlantic World. Leiden, Netherlands: Brill. pp. 141–150. ISBN 978-9004181540. Retrieved 11 November 2018. ^ a b c d e f g h i j k l m n o p Bain 1911, p. 932. ^ Titeux, Eugene 1903, p. 86-104. ^ Foucart, Paul Jean 1887, p. 694-697. ^ Alison, Sir Archibald 1836, p. 758, 764–765. ^ Favier, Franck 2010, p. 137-139. ^ Palmer, Alan 1990, p. 135. 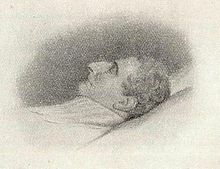 ^ Alison, Sir Archibald 1836, p. 765. ^ a b Scott, Franklin D. 1962, p. 284. ^ Barton, Sir Dunbar Plunket 1930, p. 216-217. ^ Scott, Franklin D. 1962, p. 284-285. ^ Howard, Martin (2012). Pp. 139-147. ^ "Charles XIII - king of Sweden". ^ a b c Planert, Ute (2 November 2015). Napoleon's Empire: European Politics in Global Perspective. p. 221. ISBN 9781137455475. Retrieved 27 December 2018. ^ Carl Ploetz (1911). Epitome of Ancient, Mediaeval and Modern History. p. 473. Retrieved 26 December 2018. ^ Ancienneté och Rang-Rulla öfver Krigsmagten år 1813 (in Swedish). 1813. ^ a b c d e f g "Charles XIV John - king of Sweden and Norway". ^ a b c "Norway - Facts, Points of Interest, Geography, & History". ^ Hårdstedt, Martin 2016, p. 222. ^ Scott, Franklin D. 1962, p. 286. ^ "History of the Royal Palace". www.kongehuset.no (in Norwegian). Retrieved 2018-08-14. 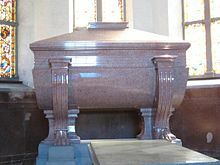 ^ "King Carl Johan (1763-1844)". www.kongehuset.no (in Norwegian). Retrieved 2018-08-14. ^ a b Palmer 1990, p. 248. ^ "Succession au trône de Suède: Acte d'élection du 21 août 1810, Loi de succession au trône du 26 septembre 1810 (in French)". ^ "Grand Crosses of the Order of the Tower and Sword". geneall.net. Retrieved 2018-08-09. ^ "The Court Journal: Court Circular & Fashionable Gazette". Alabaster, Pasemore & sons, Limited. 19 July 2018 – via Google Books. ^ Lloyd, John; Mitchinson, John; Harkin, James (7 November 2013). 1,339 QI Facts To Make Your Jaw Drop: Fixed Format Layout. Faber & Faber. ISBN 9780571313211 – via Google Books. ^ Ganzon, Guadalupe Fores-; Mañeru, Luis (19 July 1995). "La Solidaridad". Fundación Santiago – via Google Books. ^ Reading, Mario (19 July 2018). The Complete Prophecies of Nostradamus. Sterling Publishing Company, Inc. ISBN 9781906787394 – via Google Books. ^ "Hexmaster's Factoids: The King's Tattoo". www.faktoider.nu. Barton, Sir Dunbar Plunket (1925). Bernadotte Prince and King 1810-1844, John Murray, London. Berdah, Jean-Francois (2009). "The Triumph of Neutrality : Bernadotte and European Geopolitics(1810–1844)", Revue D’ Histoire Nordique, No.6-7. Palmer, Alan (1990). Bernadotte : Napoleon's Marshal, Sweden's King. London: John Murray. ISBN 978-0-7195-4703-4. This article incorporates text from a publication now in the public domain: Bain, Robert Nisbet (1911). "Charles XIV." . In Chisholm, Hugh. Encyclopædia Britannica. 5 (11th ed.). Cambridge University Press. pp. 931–932. This article incorporates text from a publication now in the public domain: Ripley, George; Dana, Charles A., eds. (1879). "Bernadotte, Jean Baptiste Jules" . The American Cyclopædia. "Charles XIV. John" . New International Encyclopedia. 1905. "Bernadotte, Jean Baptiste Jules" . The American Cyclopædia. 1879.